Gutter gardens are a great way to take advantage of the vertical spaces around your home to grow flowers and edibles or create a stylish privacy screen without spending too much money. 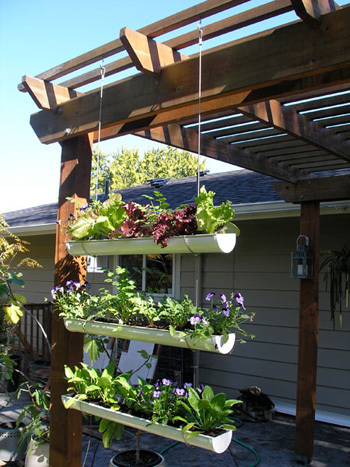 It`s also a great way to recycle old or discarded pieces of eaves trough (gutters) into something useful. Some plants to grow in the shallow soil of a gutter garden: Strawberries, herbs, greens, succulents, and flowers. Important Tip! Container gardens can dry out quickly, so make sure to water daily! Build Your Own Gutter Garden! ● Strong chain (cut to size at the store) Alternatively strong rope/string can be used. ● Measure out the space and decided how many planters you will want, and where they can be attached. 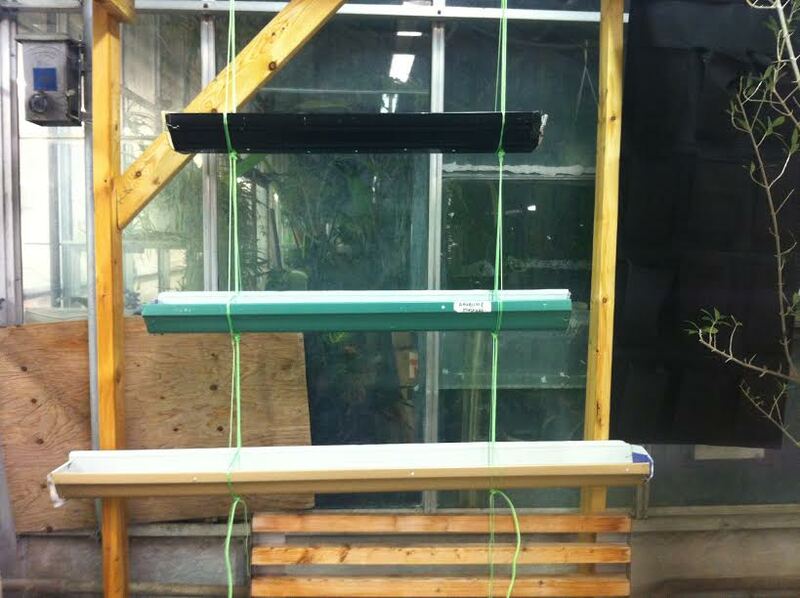 ● If buying new, please note that new rain gutters only come in 10 feet long, so they will need to be cut. Sometimes used ones will also need to be cut with a hacksaw to cut to size. ● Cut gutters to desired length. ● Attach chain or rope and add end caps. ● Hang up with hooks on attach to a wooden board on the wall. ● Plant your seeds or seedlings! ● Rain gutter gardens can lose the nutrients rapidly with all the watering in hot weather. So it`s best to use a liquid fertilizer in the watering can about every ten days.